A time to be cheerful and joyous. 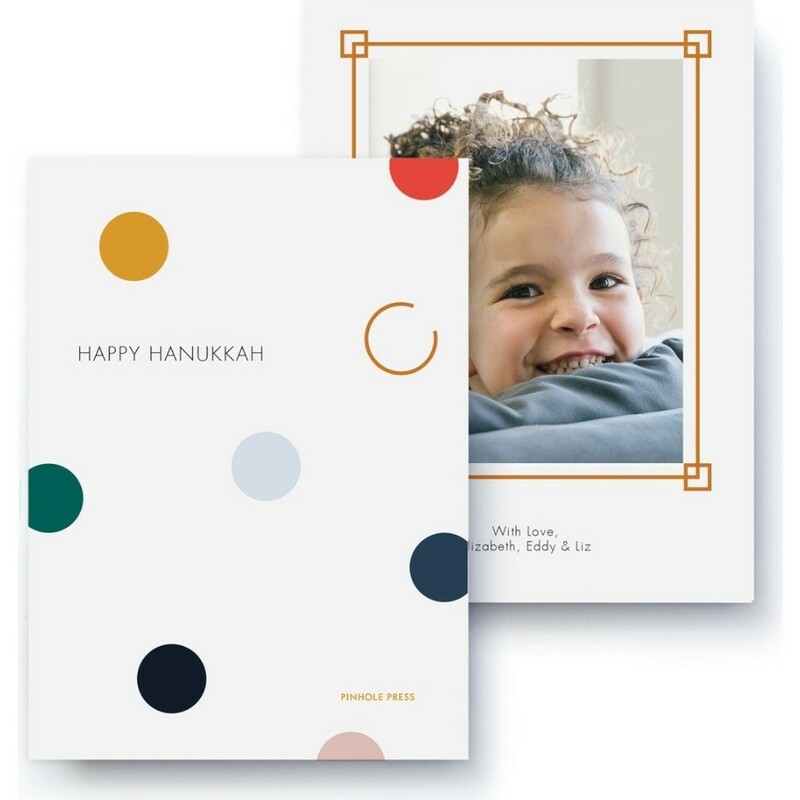 This Happy Hanukkah Holiday Card adds a playful touch to your well wishes. An Elizabeth Edwards custom designed holiday card. 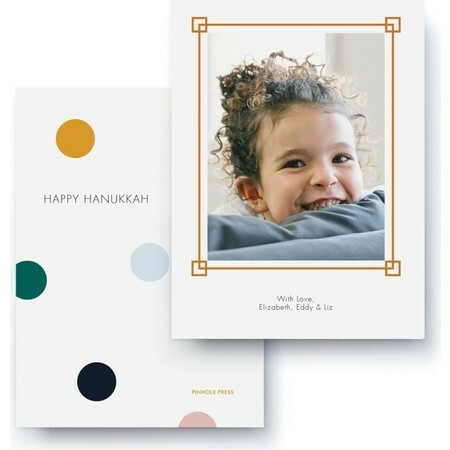 The holiday card displays 1 photo.